Mistakes can happen, especially when it comes to investing! Unfortunately, investment missteps are the kind that can come back to haunt you in the future, especially when it comes to retirement planning. Sometimes all it takes is better understanding how much should be set aside for retirement or putting your money in the right kind of long-term investments that will truly benefit your family down the road. 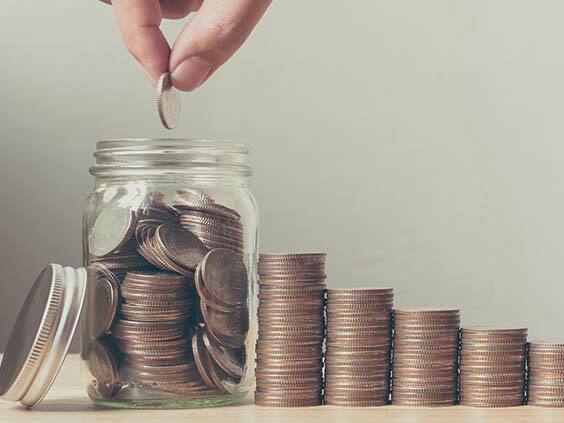 The financial experts at Kroon & Mitchell share three mistakes you may not know you’re making with your retirement investments – and how to fix them. There are a wide variety of views regarding how much to save for a successful and comfortable retirement. Here’s our simple rule of thumb: if you’re pretty young and want to retire on time, you should be devoting 10 percent of your income toward retirement investments. If you want to retire early, or you didn’t start saving until later in life, we recommend setting aside 20 percent of your income towards preparing for retirement. It’s important to understand the true risk involved when investing and be prepared for potential losses along the way. Losses are a natural part of investing over time, and the better you understand the financial losses that are going to occur, the better you can recover, boost gains, and reduce shock value. Investors – both professional and novice - need to know how much they can lose (aka investment risk) from the beginning, and mitigate that potential loss through diversification. To give you an example: the most commonly gauged stock market, the S&P 500, lost -43% in its worst calendar year. At the same time, the more aggressive version of the stock market, small-cap stocks, lost -58% in its worst calendar year. That’s a big difference. If investors can tolerate this risk, then investing in stocks may be a good move. If the investor cannot tolerate such extreme market fluctuations, it’s a better idea to take a more conservative investment approach. While gains are what you’re going for, of course, understanding this potential for loss at the outset will help people make better investment decisions over time. This is one of the most prevalent mistakes people make as investors. When you’re young, you think you have all the time in the world to save, but you really don’t. To seriously meet retirement goals, start saving as early as possible. Getting started early is the key to success. Beginning to prepare for retirement when you’re older adds stress and will likely force you to work later in life that you intended. The remedy to this is starting early, while your earning potential is high, to ensure a happy retirement when the time comes. The experts at Kroon & Mitchell have over 50 years of experience managing investments and providing retirement planning in Grand Rapids, MI. We employ an integrated approach to holistically review your tax, college savings, estate and wealth transfer, charitable giving, and retirements to make sure every piece of your financial puzzle fits just right. If you’re looking to create a sound financial plan for your investments, Kroon & Mitchell can set you up for future financial success, contact us today to learn more. Don’t hesitate to contact us with any of your financial questions.